Selling a house around the holidays can be a difficult task. There’s a traditional assumption that this is when the market slows down. Don’t assume that homes won’t sell this time of year. They can—if you know how to do it right. Check out our list of dos and don’ts so that you can have a stress-free real estate open house this holiday season. If your clients live in a cold climate, make sure the walkways and stairs are free of ice and snow. This will not only give your home a more polished look, but it will also ensure the safety of potential buyers. If you don’t already carry a shovel in your car this time of year, it might be helpful to travel with one in case your client doesn’t have proper snow-removing tools. A bag of salt can go a long way, too! Make sure the thermostat is turned up when it’s time for the open house. If buyers are uncomfortable from the cold, they are less likely to enjoy their visit. It’s good to advise your clients of this before the open house starts so the house has time to warm up if they typically keep the thermostat low. DO: Get into the spirit of the season. Put on some soft classical music and offer some homemade holiday cookies, hot cocoa and other snacks that can encourage prospective buyers to take shelter from the cold. A nice pot of spices boiling on the stove doesn’t hurt, either! Add orange peels, cloves, cinnamon sticks and nutmeg on the stove to simmer with some water for a homey, delightful scent. DO: Write a powerful listing description. Nothing says “Welcome to your new house” more than a Frosty in the front yard ready to greet potential buyers. If the snow is wet enough to make a snowman, why not take advantage of the season? DON’T: Overdo the holiday spirit. Though holiday decorations may create a cozier atmosphere in the home, you don’t want to overdo it. Anything that may distract from the home’s curb appeal—Santa and Rudolph inflatables, for example—should be put away until after the showing. DON’T: Emphasize religion too heavily. DON’T: Leave presents out in the open. ‘Tis the season of giving, but not to potential buyers. Make sure you pack expensive gifts and treasures away. Not only do many presents clutter the home, but they can be awkwardly personal for a new family trying to imagine their own future memories in the home. The bottom line is, the work doesn’t stop just because the holidays are here! Use this time of year to brighten your open houses and not as an excuse to give up. Some buyers are specifically looking to purchase this time of year, and you might have just the property for them. The triangle has enjoyed years of growing home sales and new home construction, but third quarter numbers from a real estate data company provide further evidence that those trends could be slowing. While the number of new homes that sold from August to October continued to surpass last year, new home construction, also known as home starts, was flat, according to Metrostudy. “The word of the day is ‘plateau,’” says Amanda Hoyle, Metrostudy’s Raleigh-Durham director. The report adds to the evidence that the third quarter was a rough stretch for the Triangle housing market. Last month, a report from appraiser Stacey Anfindsen found that the number of homes listed on the market and the number of pending home sales actually dropped in the third quarter. The reports differ because Metrostudy only looks at new homes, while Anfindsen includes sales of existing homes in his data. But combined, the third quarter numbers paint a picture of a housing market that could be showing the first signs of a slowdown that has taken hold in other parts of the country. Housing analysts in the Triangle are quick to point out that Hurricane Florence disrupted the homebuying market for more than a week in September, likely contributing to the lower sales volume. But the rising cost of homes, coupled with standard 30-year mortgage interest rates approaching 5 percent, could be dampening buyer enthusiasm, according to some analysts and homebuilders. “Our third quarter was quite a bit off,” says Brant Chesson, president of Homes by Dickerson. “Even the buyers we are seeing, they are very reluctant buyers and it takes them a lot to get them over the finish line.” That has translated to buyers being more aggressive in negotiations and, in some cases, people backing out of contracts. That’s not something you usually see. To make up for potential losses, Hoyle expects homebuilders to start offering more incentives to prospective buyers, such as lower closing costs. Builders may also put more effort toward building at lower prices, but that has been a difficult task in the face of rising land costs and labor prices, builders and analysts say. For consumers, cheaper homes are becoming more difficult to find. In the third quarter, new homes priced under $250,000 represented about 25 percent of the Triangle new home market. A year ago, homes in that price range made up about 32 percent of total market share, according to Metrostudy. But the news isn’t all gloomy. New home closings, excluding resales, were still up nearly 12 percent in the third quarter, and job reports continue to be strong, Hoyle says. And builders continued to be attracted to the Triangle market. 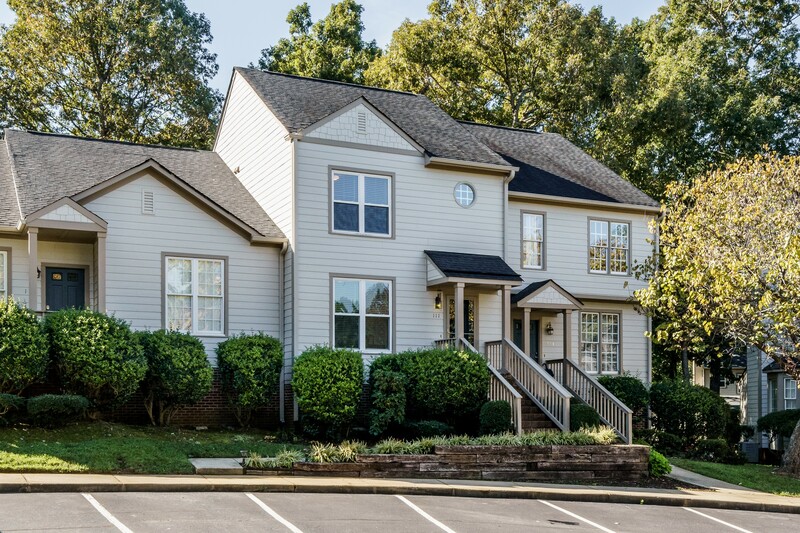 Welcome home to your spacious two-bedroom townhome in a prime Cary location! This lovely community tucked in the woods just minutes from SAS, I-40 and RTP offers quiet convenience and easy living. You can join the community pool and tennis club, and you will love the nearby access to the Cary greenway system or Umstead Park. This great floor plan features an open dining room facing the front with a large window. In the back of the home, the living room has a gas-log fireplace and remote-controlled ceiling fan, plus easy access to the rear deck for outdoor living. You will love the new easy-care flooring in all of these areas. The central galley kitchen offers oak cabinets with stylish hardware and lots of counter space. Upstairs find two large bedrooms, each with a full bathroom and walk-in closet. The master features a vaulted ceiling with a ceiling fan. There is also an upstairs laundry for maximum convenience. You will appreciate all the great updates in this home! The windows, HVAC, roof and siding are all recently replaced. With lots of shopping and recreation nearby, this north Cary community is the perfect place to call home. See: https://www.tourfactory.com/idxr2086373 for more pictures.